Thanks @bigmattb28, I'm still a bit shocked to have the job, but the club certainly where it is in real life! Having taken the Juventus job in February, the expectations were clear - European football is a must or I'll be searching for another job. The club were already in seventh place when I took the reigns, so how did we fare across the back-end of the season? Overall, I was only in charge of two losses from February to May! With only two games left in February we had what on paper looked like two relatively winnable games. Former side SPAL, who were sitting comfortably in the Champions League places welcomed me for me first game and the script must have been written in advance, as a last minute goal from Paracampo gave the hosts a win. Palermo followed and having recently sacked the Manager/Assistant duo of Dani Alves/Messi we managed to pick up three points against a dysfunctional team. Sassuolo and Lecce held us in consecutive weeks as March came by, and these were disappointing results given both sides were battling it out at the bottom of the table. A comfortable two-nil win against Chievo followed to maintain an impressive, yet slightly underwhelming start. April was somewhat of a mixed bag. A poor performance gave us a narrow win against Sampdoria before we earned a point against Lazio. A huge win against Roma gave us some leverage in the race for continental qualification, although we let the capital side back into the game and were lucky not to concede. Any leeway we gained over Roma was thrown away days after against Genoa, with former SPAL man Hassan Mane sealing the loss with a cracking free-kick. But our finish to the season was near perfect! A draw against Napoli started May before narrow wins over Cagliari, Benevento and Atalanta set us up for an impressive win against A.C. Milan. It was during these last few games that my ideas for the squad started to take some serious shape, but there will be more on this to come. With all this said and done then, we were able to secure a sixth placed finish and thus gain entry into the Europa League. Back in February I told the board that Champions League qualification was possible but I learnt quickly that we are a few pieces short of that. I'm not the most popular man in the boardroom you could say. This being said though, there was a marked upturn in results since I took the job. With 36 points in 24 games prior to my arrival, the team was averaging 1.5 points per game and in the 14 games since we picked up 28 points, giving us 2 points per game. This may not seem a lot but in the context of this season that is the difference in finishing 8th in the league and finishing 2nd. Impressive work if I do say so myself. The squad remained the same for the most part since my arrival. An injury to Vodisek saw me call up youngster Conti as a back-up option. He was joined by fellow youngsters Lech, Santagata and Ghedini to fill out the squad and in some preparation for next season, more on this later. Three players in the squad who are currently who will be joining permanently next season. Junior Firpo had his loan turned permanent by thr previous manager for a whopping £40million, but his performances since my arrival have gone a long way to reassuring me about his quality. Young Romanian defender Zamfir has some good qualities about him despite his age and has bags of potential too, so I pulled the trigger on his release clause too. Lastly, Beltran's loan was made permanent days before the season ended but I had no say in the matter, nor did his loan deal have any appearance-based clause in it(?). We'd struggle to find anyone as good for as cheap so I don't have too many complaints, I'd just like to have a say in who is in the squad! What's more is that there are nine players I'm looking to move on this coming window, or who's loans won't be extended. Maehle, Bjortuft and Bloxham's loans won't be renewed whilst Lenglet, Grimaldo, Bernardeschi and Brunn Larsen will likely be sold. Dybala and Lukaku won't be having their deals renewed either. These are just players in the first team and presently at the club, more players will be moved on I imagine. With so many players being tipped to leave, the club is certainly in for a big overhaul this summer. Deals have already been wrapped up for a goalkeeper, a left-winger and a right-winger and a back-up attacking-midfielder, with a deal for a center-back due to be confirmed in the coming days. I've hinted that the club isn't in the best of financial positions and so the deals will likely reflect this and form a key part of my transfer strategy for the foreseeable future at Juventus. What this means is that the club will be operating well within its means. There won't be an influx of first-team quality players necessarily and instead I'll be looking to develop youngsters from the academy, whilst signing cheap squad players who can develop and perhaps be sold on in the future. There is only room really to sign three first-team quality players a season for now. This has to be put down to the failures of previous managers when it comes to reshaping the squad and hopefully after a few seasons of off-loading bad contracts and signing cheaper, younger players the club can get back to where it used to be. With just over a year left on my current deal I thought I'd ask the board for an improved deal, or at the least a longer one. Perhaps its because I'm still in the early stages of the current deal, perhaps due to falling short in terms of Champions League Qualification, but the answer was a resounding no. Fingers crossed there will be a new deal at some point, otherwise this could be a short stint! NOTE: I'm heading off to Barcelona this weekend so won't be able to get through pre-season, so the next update may be some time away! Thanks for reading! A big job was needed this summer, and with contracts expiring and players coming back from loans yet to be assessed, the club was always going to be busy this summer. However, I did not expect to be as busy as we were. In total, nineteen players were signed this summer. Nineteen. 19!!! However, not all of the players are signed for the first-team and in fact there are three tiers of signings that were made this summer: First-Team Players, Squad Players and Youngsters. So then, let's take a look at the deals we did! Manuel Gasparini - 26, GK, £12.5million from Udinese - with Gilardi starting in goal for me last season, I was left less than confident in his ability to be a first-choice 'keeper in Serie A at the current time. Thankfully though, Serie A is ripe with good, Italian goalkeepers. Gasparini was signed due to having a wealth of experience at this level, whilst also being a quality player available in a good deal. At only twenty-six he's still to hit his prime, but regardless he is a massive step-up in goal. Greg White - 27, CB, £12million from Minnesota - with MLS loading up and a host of quality players emerging into world football, the question was always going to be about who was going to be signed from the States. Wanting to tighten the defence amongst other targets being identified in other positions, Greg quickly became the number one target in defence. I was quick to trigger his release clause and bring him in to partner Gasperini at the back. What a quality signing! Junior Firpo - 31, DL, £40million from Chelsea - signed by the previous manager, I was initially apprehensive about keeping Firpo in the squad this year, but his performances in the back end of last season helped calm these nerves. I'm less than impressed with the fee my predecessor paid for a thirty-one year-old defender but this is out of my control. A few injuries picked up over pre-season have seen him decline physically already which is less than ideal. Ramuel Belle - 25, DR, £11million from Brighton - As the window ticked on I found myself more and more in need of a right-back. I was quoted £88million for my first choice, a twenty-three year-old playing for Palermo. After searching the top leagues for a second-choice I found myself looking at Ramuel. Quick, physical and ok defensively, what really turned my head was his £11million Relegation Release Fee. Worst case scenario is that an English team finds themselves needing a home-grown right-back down the line and we can turn a profit. Roberto Baronti - 24, DR, Season-Long Loan from RB Leipzig - the second-to-last signing of the window, Roberto joins on loan having played in Seire A, Ligue 1 and the Bundesliga despite his tender age. Arguably better than Belle, the two will fight it out for the starting berth this season. Paying a fraction of his wage is a major plus, but perhaps a major con of this deal is a lack of agreed future fee. Either way, he's a different option in this position. Fran Beltran - 29, MC/DMC £22.5million from Chelsea - another signing from Chelsea (and not the last either) and yet again one I had no say in. Admittedly signed for a good price considering he's probably hitting his peak now, I'm still unusure as to why I had no say in the fee or the contract handed to Fran. This being said, he'll be a key member of the squad and I'm happy to have him back. Filippo Melegoni - 29, MC, Season-Long Loan from Chelsea - the last of the signings coming from London, Filippo comes in for a year with only a small percentage of his wages being paid by us. Adding a third quality option to the midfield alongside Van de Beek and Beltran, this deal makes tonnes of sense. Described by the media as a World-Class Midfielder, this deal is full of upsides. Robert Ilie - 23, AMR, £13million from Quanjian - part of the overhaul was focused on the wide-areas of the squad this summer. Zivkovic isn't getting any younger and Bernardeschi was let go too. Robert had found himself playing in China last season having left his native Romania and it seems the year has done him a world of good. An out-and-out winger, I'm looking forward to seeing how he settles in. Just look at how much his value has increased by! Cristinel Cocis - 21, AML, £19.5million from Standard Liege - Ilie isn't the only Romanian winger to join the club this summer! International team-mate Cocis joins the ranks and looks set to play on the opposite side to his compatriot. Cristinel had interest from a number of top sides so we had to bid more than our competitors to get our man, but on the face of things this seems to have been a good deal. More of an Inside Forward than a Winger, he offers us something different on the other side of the midfield which should hopefully give our new-look, dynamic attack another option. Erling Haland - 28, ST, Free Transfer from Wolves - with Lukaku leaving, we were in need of a striker in a similar mould to the Belgian. Erling seems to fit the bill. Tall, quick and strong he'll be fighting it out for the starting spot, but I think he'll get the nod for now after an impressive pre-season. Signed for free too after bouncing around some top clubs, this deal should work out for us. Nicola Soli - 22, ST, £19.5million from Sassuolo - one of the first names on my shortlist for a number of reasons, Nicola is the last signing who will be challenging for a starting spot this season. He's a much more raw talent than Haland and Petrelli, but he's homegrown and still has some development to do. He could become a real star down the line and a talisman for the club. Beyond the starting-eleven last season, we lacked any real depth in the side and it was always the same three players coming on or coming off. I decided that we'd need some good players in the squad to bring on, or to rotate in if we needed to keep things fresh. Massimiliano Vecchione - 24, AMC, £1.3million from Holstein Kiel - Massimiliano probably never saw a move like this coming. He'd been on my shortlist since I was in charge of SPAL, where I saw him as a starter. Now though, I see him as being a good squad player. On the face of things he hasn't got stand out attributes, but he has it where is counts. A good dribbler, a great first touch and a good passing ability too. He's been playing in the 2.Bundesliga so he'll need to step up big-time, but this deal could be the blueprint for our Squad Player transfers going forward. Ciprian Zamfir - 19, DC, £2.2million from FC Steaua Bucharest - the third and last Romanian player in the squad, but one that was here last year. Ciprian played a majority of the games I was in charge of last season and it made so much sense to bring him back. I know his quality and what he can do, delighted to have him back. The final tier of signings we made were youngsters that have joined the club as I cast an eye on the future. I think that any good club signs not for now but for the future too, so let's take a very quick look at the players signed. Most have headed out on loan to aid their development, but two will be sticking around this year. El Hadji Camara - 16, MC, £2million from Lyon - What a player we look to have on our hands here. El Hadji looks like he could be one of the better players in his generation. Already rated fairly by the coaching staff I'll be looking to play him this year. He could become an absolute superstar. Jose Carlos Nuevo - 17, DC, £3million rising to £7million from Real Madrid - Jose looks like he could become a quality defender and at only seventeen he's highly rated. A big fee and a big wage for a player that could well justify it down the line. He'll be sticking around this year to be our fourth-choice central defender this year. A whole host of players left the club this summer too such as Brunn Larsen, Montiel and Lenglet. Others were loaned out with their wages being paid and optional future fees lined up such as Alena and Hegedus. Lastly, Lukaku and Dybala were released. These deals helped to offset the spending (although a staggering £62.5million was spent without me having as much as a say). Despite all the players coming in, the wage bill is in a much healthier position with just under £1million per week being taken off of the books! With all this said and done, the squad is looking like this! I'd argue that the squad is in a much better position compared to last season with the average age being brought down to 24.2 from around 27/28. The amount of money we spent as a whole has hit the club but once we get into the season and we start generating money the club will be in the best all-round position its seen in years. In short, I'm very excited to see what this squad can do this year with the right mix of quality and experience. Fixture-wise we had a fairly calm pre-season, with only six games scheduled. I could resist playing former side SPAL, who we beat emphatically before going on to play a mix of similarly-matched sides and sides I'd consider better than ourselves. 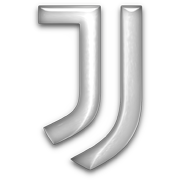 With half of the current campaign done and dusted, its time to take a look at how this new-look Juventus side has fared to date. Early signs would seem to suggest that a busy summer of dealings may have gone some way in restoring the Old Lady to their former glory. Although things didn't start particularly brightly with only one goal scored in August in our season opener against Sassuolo. September saw us flex our attacking muscle, knocking five past both Brescia and Parma. Roma looked to have beaten us until stoppage time in the second half when we equalised to rescue a point, before the month concluded with a two-one win over Bologna that was less than comfortable. By the end of this month I'd already began to notice the impressive development of El Hadji Camara, the 16 year-old midfielder we bought in in the summer. Two stunning goals against Brescia made me think that perhaps Juventus may well have another French superstar teenage midfielder on their hands... lets hope we can hold onto this one. Our impressive run carried on into October with a personal highlight being an emphatic win against prior employees SPAL. This was followed by a massive home win against A.C. Milan who themselves are in the hunt for the title this year. Despite going a goal up we were reduced to 10 men and I opted to go for a strikerless formation, which paid dividends as we went on to score two more. We seemed to have Lecce all but beaten however a lapse in concentration saw us drop points. By the end of November it was beginning to look like we could go the distance this year and maybe even do it unbeaten. Inter had been our biggest rivals in the title race so far and when we travelled to the San Siro at the end of the month, many were calling it a six-pointer. The hosts would go down to 10 men and a superb Van de Beek freekick would ensure three points came back to Turin. A busy December of fixtures would be the climax to our calendar year. Our year would end with just one blip against it, a two-nil loss to Napoli that the media hailed as lucky for the hosts, yet in reality we didn't turn up. Three comfortable wins against Udinese, Empoli and Roma would cap off the year, and what a half-season we've had! With just the solitary loss to our name we find ourselves sat top of the league, though only just! Beating both the Milan sides has done us a world of good, however losing to Napoli has let them back in the race somewhat and they've found themselves in our position on occasion. Outside of this and the league is looking unusual this season. Roma, Lazio and Udinese all find themselves in the bottom half whilst Brescia and Lecce are fighting for continental qualification. With all the excitement of the title race, its easy to forget that we're in European competition this year too. We were drawn into a group with Rennes, Trencin and FC Nordsjaelland and it was to no surprise that we topped the group, despite having a slow start. This sees us drawn against Atletico Bilbao in the First Knockout Round and we'll do well to get past them. They've got a world-class centre-mid and a striker who isn't half bad either. And lastly, we play Lecce in a few days time as our Coppa Italia campaign gets underway. Lecce are flying high in the league this season and will prove to be stiff competition, so we'll have to be at our best to go through to the next round. A quick glance at the squad to round things off. As to be expected when you've lost one game going into January, everyone is performing incredibly. Greg White has been immense at the back, whilst Belle and Baronti rotate at right-back. Special mention to Gasparini too for being reliable when called upon. Our midfield has been very good and very solid too. We're lucky to have two, maybe three if Beltran is at his best, world-class players in this position. I can't sing Camara's praises enough either, the youngster has already notched goals and assists both domestically and in Europe - he's going to be phenomenal. Our attacking players have been able to rotate seamlessly too. Cocis and Ilie have been particularly impressive in their maiden campaigns, often switching the ball to one-another to score. Zivkovic has been flourishing in his reduced role, whilst bit-part players Vecchione, Bianchi and Casazza have played well in limited minutes. Leite however has not been as good as I thought he'd be. He's notched five goals so far, although four have been penalties, whilst his chance creation has been below-par too. Nicola Soli has emerged as our undoubted first-choice striker, but has found goals hard to come by in December, giving way to Petrelli and Haland gaining more minutes. Overall, the attackers have faired well so far and hopefully they can all carry on producing at the same level for the remainder of the season. We started the new year off two points clear of Inter Milan as we aimed to get Juventus back to where they belong. With half a season to go, would we be able to stay on top of the league? We started the year off with good, but not great form. January saw us pick up wins against Sassuolo and Fiorentina, with the performances in those games differing drastically different. This must've been a precursor for what was to come, as we struggled against Brescia and Parma; two teams we should have been comfortably beating. Our form continued to dip heading into February as we scrapped a draw against a bad Bologna side, before suffering a shock defeat to Genoa. We returned to winning ways against former side SPAL, before throwing away a two goal lead against A.C. Milan, though drawing to them isn't all too bad of a result. Any and all bad form was forgotten about as we looked back to our best in March, beating Lecce and Torino with ease either side of a well earned win away to Lazio. The title seriously began to heat up in April. A disappointing draw to Sampdoria was followed by a massive home win against Inter Milan. Eight days later we swept Palermo aside before pulling off another massive win against Napoli. A huge month for us. We rounded the year off with wins against Atalanta and Udinese in May. The title was already decided going into our last fixture against Empoli, in which a number of academy prospects were handed Serie A debuts with nothing to play for. So, with all that said and done, who exactly won the league? Sadly for us, it wasn't meant to be this season. Despite having a great first half of the season, we seemingly fell-off towards the back end of the season. Disappointing losses to Genoa and draws against Brescia and Parma may well have killed our hopes in the long-run. A quick look at the draws column may well indicate just why we didn't win the league - eleven draws just isn't good enough for to be crowned Champions in any league. We looked good for the most part and built upon last season, so there is no reason to believe we can't go the distance next season! There was once a time in during the season where the treble really looked like it was on the cards. After sharing the spoils in Bilbao we gained a massive win in Turin, seeing us through into the 2nd Knockout Stage where we drew Real Sociedad. Sociedad are a very good team and have a number of quality players, including one world-class striker. Another poor performance away in Spain had the writing on the wall at half-time in the first leg. Despite taking the lead in the home-tie we couldn't extend our lead, let alone hold it, and the dream of doing the treble ended. Our Coppa Italia campaign kicked off in January and I'd be lying if I said the First Round went smoothly. Lecce were flying high in the league at the time and took us to penalties, but thankfully luck was on our side. Genoa played us later in the month and we laboured to a tight one-nil win. We beat Torino comfortably over two legs in February, setting up a final against Udinese. Our opponents found themselves a goal ahead with ten minutes to go, but a late equaliser sent us to Extra-Time. Nicola Soli would be the hero of the night, scoring twice in Extra Time! ...Meaning that my first piece of silverware since arriving at Juventus was confirmed! Two more youngsters joined the ranks in January. Alvaro Gutierrez - 16, ST - brought to my attention by the scouting team, I knew I had to sign Alvaro right away. At sixteen he had already made his debut for Valladolid when he was signed and by the looks of things he has all the potential to go very far in the game! Time will see! Lucas Rodriguez - 18, DC - another young defender to join the ranks alongside Nuevo and Zamfir, Lucas joins the club with an equal amount of potential to his new team-mates. Admittedly he doesn't excel aerially or physically, but he seems to be more than well equipped as an all-rounder. Shipped out to LA Galaxy for the remainder of the season, I'll be watching his development carefully. All in all, we played quite well this season, as to be expected given our league finish and cup win. A majority of the first-team had good average ratings, even those players in their maiden Serie A seasons. Greg White and Antonio Gasperini formed a solid partnership at the back, whilst Belle enjoyed a good debut year. Junior Firpo was hit by a number of injuries this season, causing his stats to drop off slightly and give way to academy product Giampiero Agnesina breaking into the first-team at seventeen years of age. Baronti played well and it's a shame he'll likely return to Leipzig this summer. Nuevo and Zamfir played well too and managed to play in over ten games each. Our central midfield saw a lot of chopping and changing this season, although due to the star quality in this area we rarely saw a change in output. Melegoni nailed down a starting spot and will be sorely missed next year, although van de Beek and Beltran both showed their world-class ability when called upon. El Hadji Camara notched an impressive twenty-nine appearances this season, whilst maintaining a high average rating. He also contributed to eight goals - all whilst still only being seventeen years old. Academy graduate Rosario Sanagata played in over ten matches too, aiding his development nicely. The attacking midfielders really carried us in stages this year. Ilie and Cocis both notched double-digits for goals AND assists in their first season, earning high praise, often switched the ball to one another to score. Zivkovic excelled in his new role as a quality bench player - something akin to a 6th Man in basketball. Vecchione, Casazza and Bianchi played ok when called upon, although the latter is leaving on a free, whilst Casazza may well find himself plying his trade elsewhere too. Lastly, our attackers were good, but not great. Soli ended the season with over twenty goal contributions and is still growing as a player and could easily surpass this total next season. Petrelli and Haland however weren't anything special, scoring a majority of their goals against either significantly weaker opposition, or when games had already been won. One will likely leave in the summer. Despite playing well, I feel that there are better players than Belle out there and if an English side came calling for the newly capped international, I would seriously consider the offer if it was good enough. You might think I'm mad for saying it, but van de Beek isn't safe either. In his early thirties now, the midfielder's physical attributes are beginning to drop off and he's complaining about missing home. He still has a lot of quality but this will begin to wain greatly next season. Still valued highly and on a large contract, if someone were to bid big for him this summer I'd have to consider it - which isn't unlikely as he is a wanted man. Fabio Leite is on the chopping block. His performances don't justify his wages, nor a starting spot in the side. In forty games he scored eight goals and got one assist, but five of these goals came from the penalty spot. These numbers aren't good enough for a player earning £250K. Valued at over £50million, I'd accept an offer equal to this value. Maybe he doesn't fit the system, maybe he just isn't as good as the coaches say, either way his performances have been very disappointing. Fran Beltran is unhappy at the club, however with Melegoni leaving back to Chelsea, the Spaniard will likely find more game-time next season. However for now if a good enough offer comes in, he's gone. Haland will more than likely leave, making us a nice profit on a player we signed for free just under twelve months ago. A host of players will be coming back from loan too and are likely to be sold. Carles Alena is one such name, as too is Levante Hedegus, a twenty-six year old winger we loaned out this year who hit fifteen goals whilst not being better than what we have at the club already - valued at over £40million we could well make some good money off of him. Robert Ilie won the Serie A Player of the Year award after his impressive debut season, contributing to twenty-two goals in twenty-eight appearances from the wing. But yet somehow didn't make it into the Serie A Team of the Season. Shoutout to Gasparini for making his way into a heavily Inter Milan dominated starting eleven. Do the critics know that there were other teams than Inter playing this season...? Just days into the New Year the board offered me a new deal running until 2032! Delighted to sign it and hopefully build on this season and win the title next year! After coming so close to winning Serie A last season, the question was always going to be about how the squad could evolve this pre-season to give it a fresh look going into the new season. With that being said, I was busy again this year as I looked to identify areas that we could improve in whilst not rebuilding the squad. Again similarly to last year, there were three tiers of signings made: First-Team Players, Back-Up Players and Youngsters. We were busy on the outgoing side of things too this year, and a quick look at the names and fees might give some clues as to how our summer went. Fabio Leite left the after a very disappointing time under my management. Despite being one of our better players and being valued as our most expensive player, no top teams were interested in him. Normally, a club's best player is coveted by sides like Barcelona, Real Madrid and the Manchester sides. Fabio however only ever had two sides interested in a full-transfer; Crystal Palace and Wolves. Eventually, the Portuguese midfielder left for London in a deal totalling £60million. Not bad all things considered. Levente Hegedus was the second biggest outgoing transfer. My coaches rate Levente as being on par with Robert Ilie, but I just didn't see it. On loan with Genoa last year, he almost joined them for £15million as per a clause in his loan, but rejected the move and eventually moved on to A.C. Milan for £39million. Despite scoring fifteen goals last season from the wing, he'd never scored more than five goals in a season before and at twenty-five I decided to cash in. Carles Alena finally left, settling for PSG after being sent out on loan last season. Having never been in my plans from day one and getting into his thirties now, £35million for a player I never played is sensible business. The sale of Ramuel Belle may raise some eyebrows. However, his sale has greatly helped the side in two areas. Firstly, the main reason for his sale was to free up a non-EU slot in the squad for our new attacking-midfielder. Secondly, having made money in other sales, I decided to spend some of our money on a new right-back, who was my first choice last summer but I was priced out of a deal. A nice profit made too. The last notable sale was that of Erling Haland. Having signed for a free last summer, the journeyman striker failed to provide any life into a game when he was brought on. A small profit made, but wages off the books too. On to the ins then and there are only two players who can make an immediate impact on the first-team, four players who could get time as back-ups and then a further twelve youngsters signed to be developed. Emanuel Pizzo - 23, DR Rising to £37million from Palermo - the right-back I've had my eye on for some time now and I'm over the moon to finally sign him... but less happy about the torn groin muscle he picked up in our last friendly. Not the most technical defender in the world, but I think he makes up for it with great defensive stats and even better physical attributes too. Emanuel has all the potential to nail down this starting role for club and hopefully country for years to come! Kaysan Pirbhai - 25, AMC Free Transfer - the biggest deal this summer and he cost us nothing! Kaysan was released by Liverpool at the end of the year after making just shy of a hundred appearances for the Reds. Why he was released I'll never know! Technically, physically and mentally, Kaysan is almost a carbon copy of Leite, with a few minor differences between the two. Signing Kaysan meant I could sell Leite so I've essentially made £60million and then signed a near identical player for free. However, this meant that I had to free up a non-EU slot, meaning that Belle would leave. But that let me sign Pizzo. A real domino effect but its seen me about £50million better off for two players as good as, if not better than the players I already had! He earns £200k a week less than Leite too! Result! Ludovico Turani - 20, DL Season-Long Loan from A.C. Milan - with Firpo sustaining a few injuries last season and a few more over pre-season, another option at left-back was needed with Agnesina being still too young to become a starter. Ludovico comes in for a year to offer competition and depth in a position that we could do with some if Firpo drops off this year. Frank Zimmermann - 21, DR Season-Long Loan from RB Leipzig - unfortunately we couldn't get Baronti back on loan, so instead we nabbed Leipzig's next-best right-back on loan for the year. A great young talent and different to Pizzo, he provides us with another option in this area. With Pizzo side-lined, Frank will see some game time in the early weeks of the season that will let me gain a better idea of his ability. Gregory Toonen - 22, MC Season-Long Loan from Lyon - there was a time in the summer where it looked like Melegoni wouldn't be extending his loan to this year and we were looking for a fourth central midfielder for the coming year. In came Gregory and then days after Melegoni confirmed his extension too. Toonen comes in then to play a role either on/from the bench whilst adding some good depth in this area. I could've cancelled the deal but I thought another option could be useful at some point. Mustafa Gultekin - 16, AMC £4million from Hamburger SV - yes that's right, at sixteen years old, Mustafa comes into the squad as a back-up player. With Casazza sold and Vecchione loaned out, I was initially in talks with a Spanish attacking midfielder who eventually joined Napoli on a free. I then found Mustafa playing for the German under-19 national team and decided to bring him in. He's already better than the average attacking midfielder in the Serie A and I've developed a record for trusting youngsters with Juventus (Camara, Agnesina, Nuevo and Zamfir for examples) and I'm hoping he can come in and be a similar success. As I mentioned, there were twelve youngsters brought into the club this summer. Without dwelling on them for too long, let's see who joined, for how much and from where! With all the transfers caught up on, its time to see how the squad looks going into the season. The defence fairly strong on paper. In White and Gasperini we have two very capable central defenders and behind them Zamfir and Nuevo will continue to deputise, with both having another year's experience under their belts. Pizzo and Zimmermann will make our right-back spot very solid this year, though with both having suffered knocks over pre-season Turani will likely start the first game in this position. Firpo looks set for his swansong this season and I'll be looking for a replacement towards the back end of the year, but until then Turani and Agnesina can step in when needed. Central midfield continues to be a position of real quality for us. van de Beek is approaching the twilight of his abilities, whilst Melegoni and Beltran both offer world-class quality too. El Hadji Camara gets better by the day and the seventeen year-old's stock in the game is even better. With a full season to his name last year I'm hoping he can continue to gain minutes this campaign. Toonen offers a touch more depth that could help us in times of congestion. Santagata too remains in the squad as the home-grown talent looks to push on. Further forward and things feel very different yet still very much the same. Ilie and Cocis will have to repeat their sensational debut season form, whilst Zivkovic looks set to shine from the bench or when rotated into the starting eleven. We're all change behind the striker and it will be the performances of Kaysan Pirbhai that will be crucial for me. If he performs then it justifies my decision to sell Leite, but if he fails does that suggest a larger, system-wide error on my part? And what about the knock-on effects his signing has had on the squad with regards to selling Belle and signing Pizzo? Gultekin has nothing to lose yet everything to prove, with the sixteen year-old set to get minutes in some way or another over the season. Up top and I'll be looking at Nicola Soli to run red-hot again this year. With Haland gone, Petrelli will be our go-to second choice striker and behind him, youngsters Gutierrez and Ott make up the numbers and will see some gametime I'm sure. If we fail to get going up front I'll likely sign a striker next summer provided things don't go wrong and I end up sacked. Soli is good, but can he win silverware for me? I left pre-season to my assistant and this was the best he could do? Both in terms of arranging fixtures and performances? Perhaps the only talking point was the defeat to A.C. Milan, but I suppose its only pre-season and these things aren't taken too seriously. After going so close yet seemingly fall a long way from the top of the league last season, all eyes were on us this year as our young side looked to go one better than last season. After a short, injury-plagued pre-season it was finally time to get back to competitive games! Early signs seemed to indicate that we would be in for a good year if August was anything to go by, as we scored five against both Lazio and Brescia. It would seem that we scored all of our allotted goals for September in August, as we only managed eight in our next five games. Former side SPAL held us to a point and so too did Bologna and A.C. Milan, although drawing against A.C. is a lot better than drawing to Bologna. Convincing wins against Palermo and Perugia were to be expected and helped boost the points total. October saw us pick up our first league defeat of the season against Inter Milan, who scored twice in five minutes during the first-half to kill the game off completely. Either side of this we dispatched Chievo and Pescara. With two games against our two biggest title rivals played we come away with just one point - not promising. An away trip to Roma started November, with all three points returning to Turin. A score-draw against a ten-men Napoli side followed and I'd be lying if I said I wasn't disappointed by that result. The month ended with a dull tie against Atalanta, a side we should be beating if we're serious with our challenge for silverware this year. The calendar year came to an end in December with wins against Empoli, Genoa, Sassuolo and Udinese. We slipped up against Lecce and Fiorentina however, failing to put serious pressure on the top of the table. At the half-way stage in the season and we find ourselves in an all too familiar position. Second-place and some way off of A.C. Milan who look to be the runaway leaders this season. Our biggest problems this year have been our form against the teams around us (out of the seven sides we've only beaten Sassuolo and Roma) and the hefty numbers of draws we've played (we're joint second for draws). This has hurt us this year and going into the new year the focus is going to be on correcting these two problems. Earlier in the season we were drawn into Group E alongside Benfica, Atletico Madrid and Krasnodar. Realistically there are three teams in this group playing for two qualification places and we'd do very well to pip Atletico or Benfica to either spot. Benfica beat us in Portugal in September thanks to a late winner. October gave us a chance to set things right when Atletico visited Italy, and we sent them back empty-handed after an impressive three-nil win. We gained another three points three weeks later after a hard-fought win against Krasnodar in Russia. Krasnodar made the journey to us in the next fixture a week into November and again proved to be stiffer opposition than I initially thought; but the three points stayed with us. Our home form in Europe has been vital in our bid for qualification, which was shown once more when Benfica visited the Allianz, only to leave empty-handed. Our last Group E fixture game in December and with qualification already in the bag we fell to a three-one loss to Atletico. Next we'll play Lyon over two legs in February and March respectively. I'd liked to have had the home advantage for the first leg so instead we'll have to be sharp in France to come away with something against a good Lyon side. Our Coppa Italia defence got underway in the latter stages of December as we eased past Palermo at home. This sets us up for an away trip to Atalanta in a few days, fingers crossed we'll be able to edge a tough opponent.